Who is that Girl Rising? 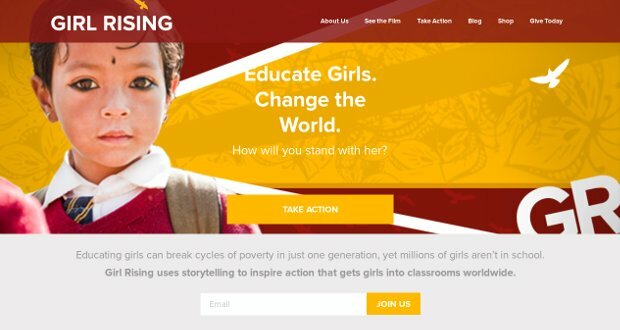 From Academy Award-nominated director Richard E. Robbins, award-winning Documentary Group, Vulcan Productions and Intel Corporation have created Girl Rising – an innovative feature film about the power of education to change a girl — and the world. Meryl Streep, Anne Hathaway, Selena Gomez and other A-list actresses contribute voice performances to the film. The film spotlights unforgettable girls like Sokha, an orphan who rises from the dumps of Cambodia to become a star student and an accomplished dancer; Suma, who composes music to help her endure forced servitude in Nepal and today crusades to free others; and Ruksana, an Indian “pavement-dweller” whose father sacrifices his own basic needs for his daughter’s dreams. Each girl is paired with a renowned writer from her native country. These girls are each unique, but the obstacles they faced are ubiquitous. Like the millions of girls around the world who dream of going to school, what Sokha, Suma, Ruksana and the rest want most is to be students: to learn. And now, by sharing their personal journeys, they have become teachers. Watch Girl Rising and discover how one girl with courage is a revolution.